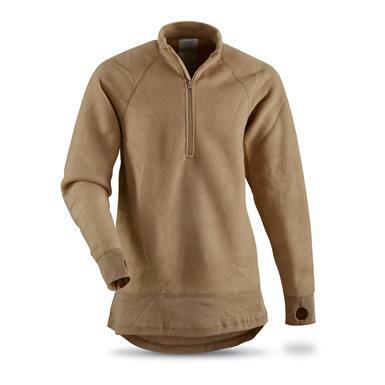 Flame-resistant, military-grade comfort for all seasons! Stay warm in the cold, and keep your cool through the ups and downs of your day. Moisture-wicking Polartec® insulation helps regulate body temperature from at rest to the highest activity. Made with Nomex® flame-resistant fibers to protect against both sparks and sudden explosive flashes of heat. Made-in-the-USA quality, here for a jaw-dropping surplus price! Save your budget! Order now!